In your factory or laboratory environment, the weight of the items you produce is incredibly important. Your items are typically purchased by weight rather than count, especially if they are small, are in liquid form or some other form that is non-solid. If you do sell items on a quantity basis then it is always easier to weigh them to ascertain the correct count as opposed to counting them out on an individual basis. For example, if an item weighs one-tenth of an ounce and one thousand are required, then you simply weigh one hundred ounces to fulfill the order. Weight is crucial, and that means obtaining the precise weight of an object or objects is essential. If your weighing figures are not accurate this can lead to over-charging or under-charging your customers. To this end, you need accurate scales, and the best scales to use in your production process are industrial digital scales. Here we’ll discuss the benefits of using digital indicator scales. 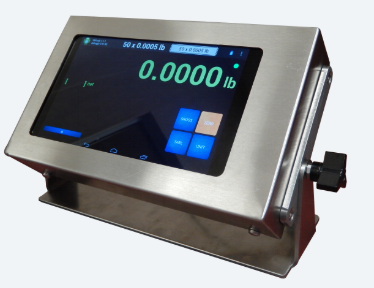 When it comes to the weighing of items in an industrial setting, you will not receive anything more accurate in terms of data than by using a digital scale. Analog readouts can be hard to judge, and an analog device will fail over time, especially if used on a frequent basis. Digital scales are far more accurate and the readings are not open to interpretation. They can also be configured to the precise resolution (level of accuracy) as you require, be it to the nearest pound or the nearest one-hundredth of an ounce. Additionally, as they are software-based, readings can be sent directly to control programs via an Ethernet or Wi-Fi connection where available, or downloaded to a portable USB drive. 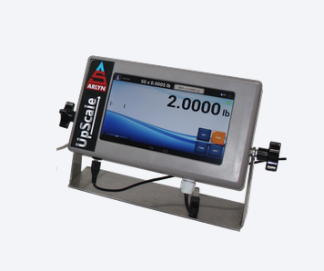 Industrial digital scales are expressly designed to flourish in any high-pressure environment. They are built to be supremely reliable and to give you years of service with little to no maintenance. Industrial digital scales are typically manufactured using solid components such as steel, meaning they are unlikely to fail. Even if your scale is in operation all day, every day for most days of the year, you will find it will become a crucial asset to your entire production process. Industrial digital scales will last quite a long time, but they will not last a lifetime. Because of their nature, elements of the scale can stretch, break or fail after a few years of use. In the case of the physical stretching of the mechanical aspects of the scales, any poor readings they begin to produce can be rectified by a simple calibration process. Once this has been performed, your scales are back up to full operation. An analog scale relies completely on mechanical parts. If something happens to these items, a configuration can only be done manually, and typically by a trained expert. Typically, parts are simply replaced, with the expected associated costs for parts and labor. When people contact us and ask for the best digital indicator that’s appropriate for factory or laboratory environments, we are usually quick to respond – the Arlyn UpScale Touchscreen Indicator thanks to its unique touchscreen interface. This item is exclusive to Aryln Scales and comes equipped with a 7” HD IPS Capacitive 5-point widescreen touchscreen display. This powerful animal is driven by a Quad Core CPU and benefits from having a generous 8GB of storage. When in operation it has the use of 1GB of RAM, allowing it to be more than capable of running a number of simultaneous processes. The indicator has the capacity to fit seamlessly into your production processes, be they the ‘old fashioned’ pen and paper way or if you have a fully computer-controlled operation. Its data-logging options allow it to instantly transfer relevant data to where it is needed, be it manually via a USB stick, or automatically via Ethernet or WiFi (both optional extras). It can even be setup to automatically send you emails when certain events cause it to be triggered, such as when an item that is being filled while on the scale reaches a required weight. Your Arlyn UpScale indicator has a number of options and configurations which means it can be adapted to meet whatever requirements you expect from it. 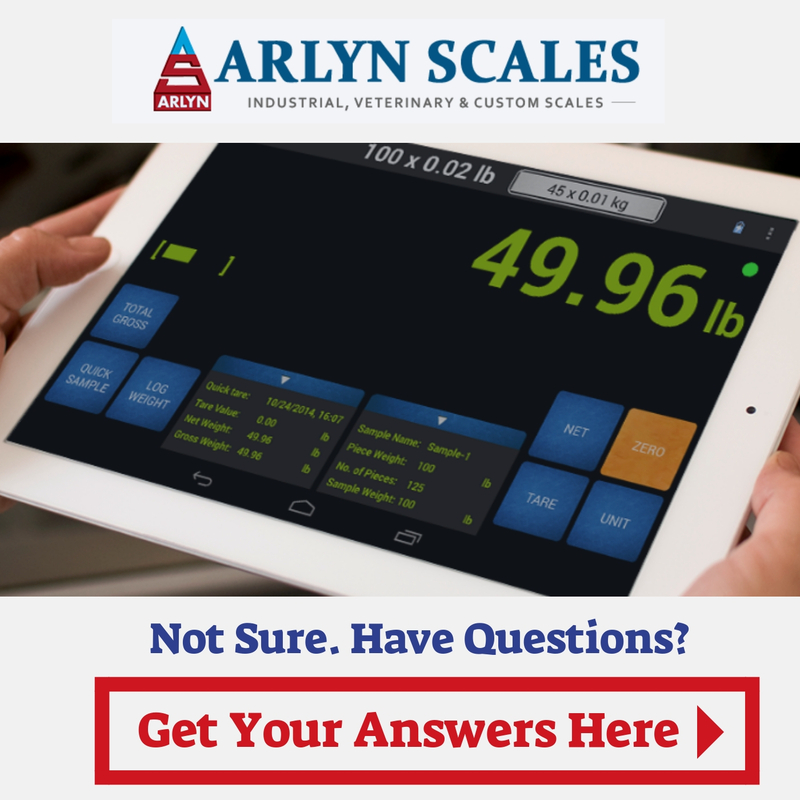 Here at Aryln Scales, we consider it our duty to provide you with the very best and most suitable scales for your operational needs. Our trusted team of scale experts are always on hand to discuss your needs, and to match you with the perfect digital industrial scale. To begin the process of ‘weighing’ your options, give us a call at (800) 645-4301 or use the online contact form that’s available on our website.